I am thrilled and delighted to announce that my science fiction story When Shepherds Dream of Electric Sheep will appear in the Looking Landwards anthology from Newcon Press. 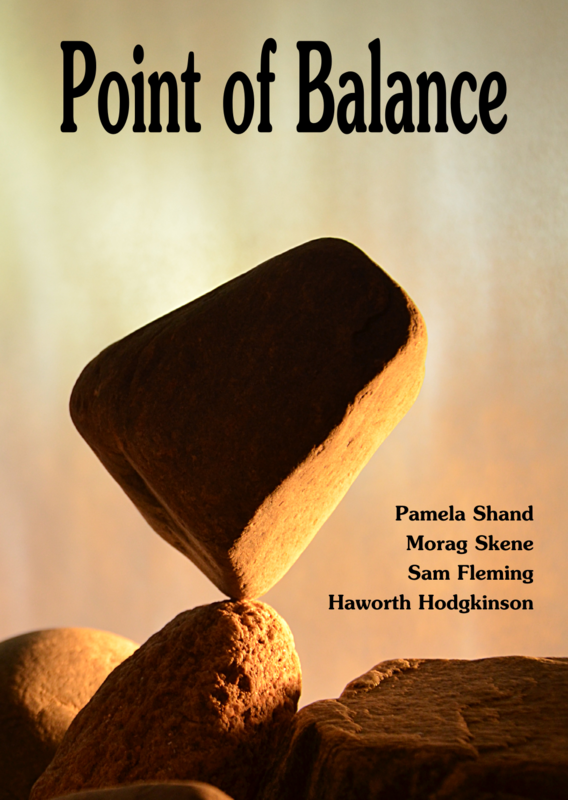 I am over the moon to share a table of contents with such well-known and exciting authors, and my thanks to Ian Whates for picking my story. The book launches in October at BristolCon, and is being produced in collaboration with the Institution of Agricultural Engineers to celebrate their 75th anniversary. Thanks are also due to my British Science Fiction Association crit group, Orbiter 6, whose harsh on writing but supportive of writers attitude has helped me enormously in the time I’ve been with them. 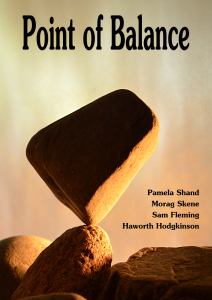 On the 14th September, at the Douglas Hotel, Market Street, Aberdeen, we will launch the next Lemon Tree Writers chapbook, Point of Balance, containing 6 pieces of short and flash fiction from LTW members, including me. The cover is by Alibarbarella and we are looking into making it available for sale as a print (minus the text, obviously!) at the launch. I can also report that my flash homage to Russell T Davies, Why Don’t You Switch Off Your Television Set And Go And Do Something Less Boring Instead has been picked for performance as part of the Aberdeen Literary Festival, New Words. I will be reading this piece at the Lemon Zest event at the Peacock Visual Arts Centre on Castle Street in Aberdeen. The event starts at 19:30 on the 15th September, which is the day after our chapbook launch, so it’ll be a busy weekend. Luckily I’ve no races planned! Speaking of races, I’m feeling particularly kick arse today as, on top of all of the above, I won my first ever race, even though the bike leg was cancelled due to flooding. I will post a full report when the final times have been released, but I can say in summary that today is made of AWESOME and WIN. More days like today please! I returned from our soggy, windswept, noisy trip to Wester Ross to a couple of pieces of very good news. Firstly the contract for my new job arrived, so the reality of our impending move to the North-East has finally started to sink in. I’ve now got to start planning what is going to be a fairly hectic couple of weeks as we get everything sorted out for the move, and there is bound to be some toing-and-froing, which won’t be much fun as it’s a 3 hour drive, but has to be done. Secondly I received notification that my story What the Water Gave Her has been accepted by Dagan Books for their upcoming Fish anthology. I’m very pleased and excited to have work included alongside that of such talented writers, and thanks to Carrie Cuinn and the team at Dagan for choosing my piece. 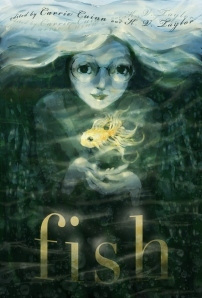 The cover art, by Galen Dara, is beautiful, with a gorgeous dreaminess that was a big part of what inspired me into a feverish flurry of writing (thank you flexi-time). Now Frood and I are off to the Museum, because we’ve only got three weeks to look at all the things in Edinburgh we’ve been meaning to look at since we moved here four years ago!